Achieving peace with our Palestinian neighbors has never been about land. The writer serves as the President of American Friends of Bet El. 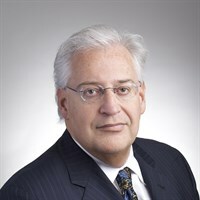 He is a practicing trial lawyer in New York and maintains a residence in Jerusalem. When my kids were young and they behaved badly, I would threaten to take away something that belonged to them. I wouldn’t threaten to take away something that belonged to someone else – what would be the point? In the same simple light, we make a tactical mistake when we threaten to expand "settlements" whenever there is a terror attack. By implication we are saying two things: First, that the land of Judea and Samaria belongs to the Palestinian Arabs; second, that "settlement" building is a punishment for bad Palestinian behavior. None of this makes any sense. If, say, next month the Palestinians renounce violence, are we really prepared to cede to them Gush Etzion, Maale Adumim, Bet El, Ariel, etc.? Of course not. Separate and apart from the threshold issue of trust, Judea and Samaria historically have deep Jewish roots and were validly captured 48 years ago in a defensive war – far more legitimately than through the atrocious acts that today dictate the borders of most countries. And, insofar as they were captured from the Kingdom of Jordan, which almost immediately abandoned any interest in the region, they are not occupied territory. Some ten years ago, the State of Israel went through extraordinary internal angst in compelling the evacuation of 8000 brave Jewish souls in the relatively remote Gaza Strip. Does anyone really think that Israel has the political will to do the same to the many hundreds of thousands of residents of Judea and Samaria? These are not people who live on the fringes of Israeli society. They are completely integrated into Israeli commerce and culture and serve in the most elite units of the Israeli army. They will never be forced to leave their beautiful communities. We diminish the permanency of Judea and Samaria by suggesting that building or not building is a decision to be made based upon Arab behavior. Political considerations may from time to time suggest that Israel slow or quicken the pace of construction within Judea and Samaria. Perhaps there’s a diplomatic trade that’s occasionally worth taking. But just as a "settlement" freeze is utterly irrational and unwarranted, so is "settlement" expansion in response to Arab terror. In both cases, the message is entirely self-defeating – we diminish the permanency of Judea and Samaria by suggesting that building or not building is a decision to be made based upon Arab behavior. As a general rule, we should expand a community in Judea and Samaria where the land is legally available and a residential or commercial need is present – just like in any other neighborhood anywhere in the world. Until that becomes the primary consideration for development, how can we expect to be taken seriously that this is our land? Achieving peace with our Palestinian Arab neighbors has never been about land. If the Palestinians were given a swath of land tomorrow to build a state, in no time at all that state would become their worst nightmare – rife with corruption and taken over by ISIS or the next fanatical regime. Peace will come if and when Palestinians learn to stop hating us and to embrace life rather than worship death. We should try to help them in that effort, but in all cases let’s continue to build!